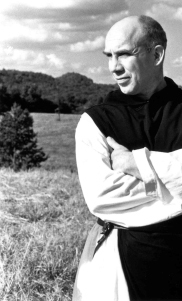 Thomas Merton's book New Seeds of Contemplation is a spiritual classic. This is such a book and by such a blessed writer that it has the power to illuminate the readers at different space-time and speaks timelessly according to the need of that time. So it was, as I randomly chose a passage from this book, I came across where he first spoke about solitude, which is one of the central practice of Christian contemplative tradition and by extension to all authentic spiritual traditions, including Sufism. In that particular chapter that I was reading, along with the need of solitude Thomas Merton wrote about the ill effects of television as one of the destroyer of basic solitude. Mind you that he wrote this about more than fifty years ago (During mid or late 50s), and since then not only TV but now also internet and cell phone are three biggest destroyer of solitude for people. We are now living in an age where there are generations who are growing up not knowing how to be alone, how to contemplate and be in silence, neither from outside, let alone be from inside. When it comes to our time, there is a need for seriously addressing the ill effects of the social media in the name of connectivity, because both television as well as social media robs people from solitude, makes them addicted to the noise and with never ending disruption in life, it destroy spiritual bond by destroying one's appreciation of solitude and recollection of the Real. The ill effect of TV, cell phone and now internet and Social Media which is a subject that needs serious addressing by our spiritual elders of this time. What follows is from Thomas Merton, one of the most beloved spiritual writer in modern history, a blessed soul and a gifted writer, may God be pleased with him and grant him the highest companions in the Garden. I am sharing selectively from two chapters from the book "New Seeds of Contemplation" which was the pages that opened to me and I found Thomas Merton was speaking something which is so very important for many of us to not only understand, but also to share this understand with others that has to do with the negative and dark effect of technology, internet, media and above all so called social media. Physical solitude, exterior silence and real recollection are all morally necessary for anyone who wants to lead a contemplative life, but like everything else in creation they are nothing more than means to an end, and if we do not understand the end we will make a wrong use of the means. We do not go into the desert to escape people but to learn how to find them; we do not leave them in order to have nothing more to do with them, but to find out the way to do them the most good. But this is only a secondary end. The one end that includes all others is the love of God. … the truest solitude is not something outside you, bot an absence of men or of sound around you; it is an abyss opening up in the centre of your own soul. And this abyss of interior solitude is a hunger that will never be satisfied with any created thing. The only way to find solitude is by hunger and thirst and sorrow and poverty and desire, and the man who has found solitude is empty, as if he had been emptied by death. He has advanced beyond all horizons. There are no direction left in which he can travel. This is a country whose centre is everywhere and whose circumference is nowhere. You do not find it by traveling but by standing still. Yet it is in this loneliness that the deepest activities begin. It is here that you discover act without motion, labor that is profound repose, vision in obscurity, and, beyond all desire, a fulfilment whose limits extend to infinity. Although it is true that this solitude is everywhere, there is a mechanism for finding it that has some reference to actual space, to geography, to physical isolation from the towns and cities of men. Do everything you can to avoid the noise and the business of men. Keep as far away as you can from the places where they gather to cheat and insult one another, to exploit one another, to laugh at one another, or to mock one another with their false gestures of friendship. Be glad if you can keep beyond the reach of their radios. Do not bother with their unearthly songs. Do not read their advertisements. The contemplative life certainly does not demand a self-righteous contempt for the habits and diversions of ordinary people. But nevertheless, no man who seeks liberation and light in solitude, no man who seeks spiritual freedom, can afford to yield passively to all the appeals of a society of salesman, advertisers and consumers. There is not doubt that life cannot be lived on a human level without certain legitimate pleasures. But to say that all the pleasures which offer themselves to us as necessities are now "legitimate" is quite another story. .. I am certainly no judge of television, since I have never watched it. All I know is that there is a significantly general agreement, among men, whose judgement I respect, that commercial television is degraded, meretricious and absurd. Certainly it would seems that TV could become a kind of unnatural surrogate for contemplation: a completely inert subjection to vulgar images, a descent to a sub-natural passivity rather than an ascent to a supremely active passivity in understanding and love. It would seem that television should be used with extreme care and discrimination by anyone who might hope to take interior life seriously. Keep your eyes clean and your ears quiet and your mind serene. Breathe God's air. Work, if you can, under His sky. But if you have to live in a city and work among machines and ride in the subway and eat in a place where the radio makes you deaf with spurious news and where the food destroys your life and the sentiments of those around you poison your heart with boredom, do not be impatient, but accept it with love of God and as a seed of solitude planted in your soul. If you are appalled by those things, you will keep your appetite for the healing silence of recollection. But meanwhile - keep your sense of compassion for the men who have forgotten the very concept of solitude. You at least, know that it exists, and that is the source of peace and joy. You can still hope for such joy. They do not even hope for it any more. If you seek escape for its own sake and run away from the world only because it is (as it must be) intensely unpleasant, you will not find peace and you will not find solitude. If you seek solitude merely because it is what you prefer, you will never escape from the world and its selfishness; you will never have the interior freedom that will keep you really alone. 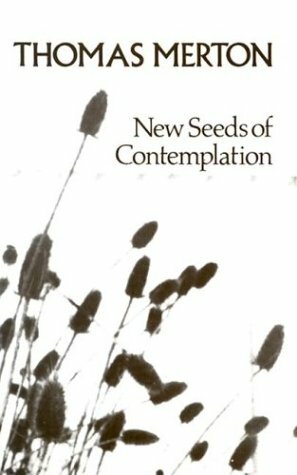 Thomas Merton's writing "New Seeds of Contemplation" is a spiritual classic. This post shares some contemplation which are still relevant today.